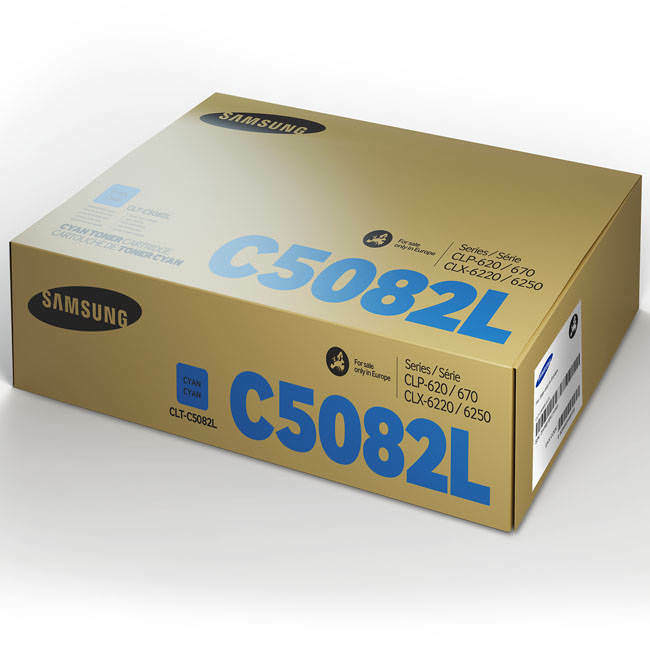 The Original Samsung C5082L High Capacity Cyan Toner Cartridge features Samsung's innovative technology, polymerised toner consisting of smaller toner particles to produce distinctive text and vibrant images. As you would expect from the Samsung brand the CLT-Y5082L provides you with reliable professional results every time. The C5082L cyan high capacity toner means that it will keep on working for an extended period with a high page yield of 4000 at 5% coverage. Perfect for high printing volumes the CLT-C5082L is ideal for home or office use. For sale at affordable prices and VAT and delivery included in the cost make the CLT-C5082L cyan toner cartridge value for money.